Harcourts New Zealand former CEO, Bryan Thomson, is enjoying a ‘home-coming’ of sorts after being named the organisation’s new managing director. “I am excited to return to Harcourts and to have the opportunity to combine the experience I have gained over a long career in this industry with the talented and committed people who make up this iconic New Zealand Company,” he says. 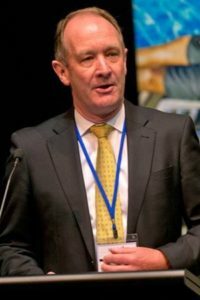 Bryan (who will begin his new role in April) will draw on experience as Board Chair of Property Page (NZ) Ltd, and from directorships with of realestate.co.nz and the Real Estate Institute of New Zealand (REINZ). “We are delighted Bryan has agreed to return to lead our New Zealand business,” says Mike Green, Managing Director of Harcourts International.